Got my exhibition piece ready for the Celebration of OSgrid. It is on the exhibition area. Everything starts 25 July and i try to be there to check things out. OS grid whas the first grid where i had a sim of my own. So always feel a little extra for it and there are some great builds. You should hypergrid over. I try to visit all grids that visit my grid. Today i came to Sparkle. Not a grid it is a sim and as i have been jumping a lot i do not know what grid i am on. I think that is one of the great things with the hypergrid. Just jump, explore and meet people. There is a avatar i suppose sleeping by the pool and it is a nice home sim. The guy at the pool kind of unresponsive. Another jump another day. Wanted to do some doodling. Got some very nice inspiration in the mail from Amazone. Painting book by Anthony Jones. Loved it and wanted to do something disturbing. Read more: Wanted to do some doodling. The new hypergrid at 2worlds2go. Some help for the grid admin. Read more: The new hypergrid at 2worlds2go. Some help for the grid admin. No need for a new hype in virtual worlds. The new build for the OSgrid celebration. Read more: No need for a new hype in virtual worlds. Why I stopped using Second life. Read more: Why I stopped using Second life. Back to There World. A fun,fun,,day. Read more: Back to There World. A fun,fun,,day. Finally a new world to explore. Cloud Party. Not much to do. But this new world, that you can access thru facebook is something that maybe to be 3D worlds for the many. Read more: Finally a new world to explore. Cloud Party. joni.hallison, a photo by SL explorer on Flickr. My projects span from icons to web with video, pictures and sound. Working in the digital world is now and i can get stuff out there very fast. Soul searching in a virtual world. 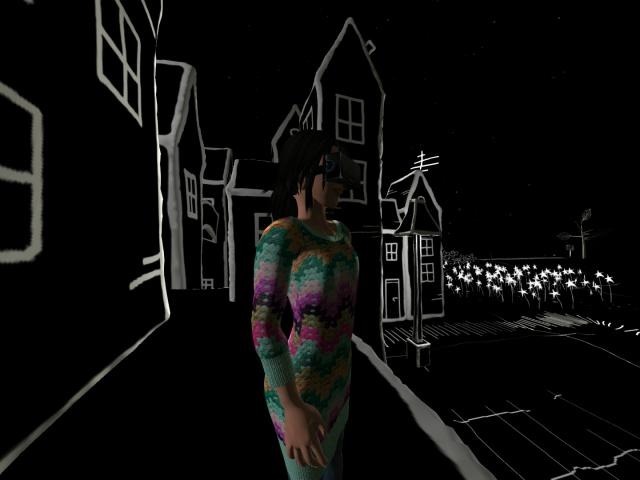 Read more: Soul searching in a virtual world. I really like the new voice morphing tool. Read more: I really like the new voice morphing tool. Not everybody in sl lives in a castle. Not everybody in sl lives in a castle., originally uploaded by cyberserenity Vella. Read more: Not everybody in sl lives in a castle. I love trains., originally uploaded by cyberserenity Vella. Read more: I love trains. I do a lot of changes on all our websites so this is a quick update. My little casle in Ambat still lives. Read more: My little casle in Ambat still lives. This is the latest addition to the small land group 144sqm in Torva. Still nice places to find in Second life. I found this nice Café on Route 1. I think its a build by one of the Moles. Read more: Still nice places to find in Second life. I have started work on my own grid computer. An Opensim grid that I can run in my studio. Read more: The new grid computer. I am playing this new game. There was good price in the game store so i bought Tabula Rasa and no sleep tonight. Read more: I am playing this new game. Finally we have our own grid. Read more: Finally we have our own grid. Read more: My favorite gadget maker. All the new worlds out there. The last few days I have been trying out all the new grids that are out there in cyberspace. Read more: All the new worlds out there. So I had a day of Sweden rocks. No computer stuff just walking around listening to music and drinking beer. Read more: So I had a day of Sweden rocks. Read more: A nice few days.